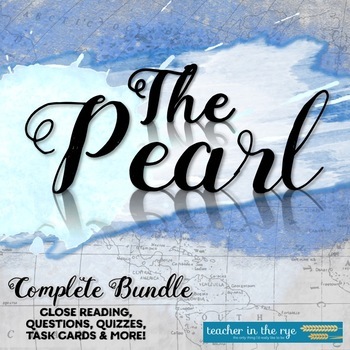 This bundle will cover everything you need for teaching John Steinbeck's The Pearl from Pre-Reading to Close Reading and everything in between! Currently you will receive the above listed resources with purchase. I do have another complete unit pack for The Pearl, and you will find that here. I encourage you to try this new bundle, as it is much more in tune with what and how we want our students to be reading and thinking when studying literature. Grab this now for a lower price, and enjoy teaching this beautiful story about human nature.